University Town Center is an urban style community near UCI campus south of University Dr., north of Campus Dr., and west of Culver Dr. Mostly affordable attached townhomes, condominiums, detached one and four bedrooms for singles to over 55 years for the senior citizen home ranging currently from $320,000 to mid $800,000 consisting of approximately four inter-communities such as Cambridge Court, Princeton Townhomes and Columbia Square and Oxford Court. The University Town Center offers many great amenities such as swimming pool, tennis courts, neighborhood shopping centers and of course the William Mason Regional park for picnic and family fun. Schools in this area include University Park Elementary School, Rancho San Joaquin Elementary School and University High School. 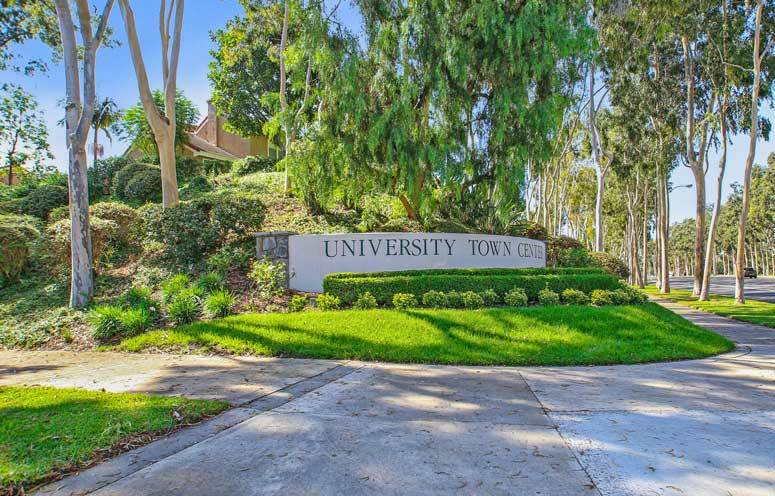 The University Town Center Master Association is managed by Keystone Pacific Property Management located on 16845 Von Karman Avenue Irvine, CA and can be reached at 949-833-2600.